One makeup product I don’t have any of is bronzer. I’m your typical Asian girl, preferring to be fair than tanned 🙂 So I always shied away from bronzers and bronzing. To say this is my first bronzer is not quite true. I have bronzer/blushes before this (Dior Bronze Harmonie Rose Brazilia comes to mind as do a couple more other Dior Bronze Harmonie palettes) but they were always more of a blush than bronzer. I stopped by Chanel to take a look at the Soleil Tan de Chanel bronzers over the weekend but they too were more blush than bronzer (and after playing around a few times, I realized I didn’t quite like them very much. 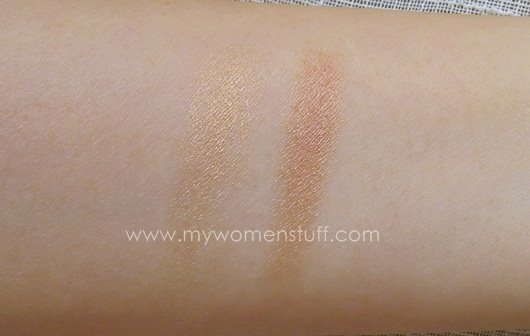 Soloverly has a quick review of Bronze Corail) So I ended up at the Guerlain counter, where the SA sat me down, made me over and showed me just now NOT scary having bronzer on can be. I wasn’t too tanned, nor too orange nor too anything. It looked just like me… just a bit better. Mom told me it looked natural. The packaging deserves mention. The bronzer powder comes in a wooden case that has 2 parts – cover with giant mirror and bottom with powder – held together by magnets. Very firmly held together I might add. I like the lacquered wooden case. Or if it isn’t wood, it does look and feel like faux wood. Its sturdy and there’s no risk of fingerprints marking it or anything for that matter. A very large pan. One I could never envisage finishing. The powder comes in 2 shades – gold in the middle and brown-pink on the sides. The tone of the powder is quite neutral. I did not detect any orange in it, and it is also very shimmery. Used with a light hand, mixed with Dior First Light Summer Powder or the Guerlain Illuminating Pressed Powder or Meteorites pressed powder, it is subtle yet lifts up my skin… AND DOES NOT TURN ME ORANGE! The last bit in caps is very important. I’m deathly afraid of walking around like Paris Hilton after her fake tan. You can see from the swatches that the powder is shimmery and that it isn’t orange either way but has a nice gold tint to it. The SA used the gold in the middle around the eye area and on the high points of my cheeks and the outer ring close to my hairline and along the cheekbone to contour. She also used the gold in the center as eyeshadow, which when paired with liner and mascara, is a very pretty natural look. She did warn me that I have to use a very light hand on my skin or it’d be too much. I’ve been working to duplicate the luminous look she achieved, and I haven’t been looking dirty or muddy or like the setting sun. Its not crazy shimmery on my skin (I don’t use a lot) and its got a sheer luminous tone to it that gives a hint of colour but does not look blotchy. I do prefer to add a pink blush (usually Bella Bamba or Guerlain Blush G) on the apples of the cheeks for a pop of colour. It does brighten up the complexion and is very pretty. I could get the hang of this bronzer yet! One thing I’m not partial about is the scent. Guerlain powder products usually have a violet scent but this one smells of jasmine and I’m not a fan of jasmine. Still, the scent is only there when I’m using the powder, but it does not transfer onto my skin so its not quite a minus point. I have two bronzers but they don’t do much for contouring. One is the Red Earth LE one and the other came with my Tarte Jewelry Box. I like them though, because they give a kinda imperceptible glow to my face heh heh heh. I’m alternating between the Sigma powder/blush brush and a soft face brush. The SA used a soft powder brush on me. I’m thinking of trying a bronzing brush soon or I might just replace that with a kabuki and see how it goes. Ahhh the love for bronzers, I like how natural it looks against my skin! I haven’t tried Guerlain but I’m definitely a fan of bronzers 😀 Happy Friday PB! I got the Chanel one (i think they are already discontinued it~~), named Moisturizing Bronzing Powder. Didnt get the latest summer collection one since my previous experience with their bronzer…I’m light skinned too, the lightest shade had been out of stock then i forced to get a 2nd light shade after getting the advice from the SA. it is too orangey…omg…. Bronzer is not essential, if you want my personal view. Its meant to help “contour” your face, to give an illusion of cheekbones or narrower nose, smaller face etc. Its not supposed to make your face shiner nor darker although in general, it does make one look a little darker. It also gives the illusion of a touch of sun, without having to go out in the sun. I recently fell in love w/ bronzers and now it’s a staple in my makeup routine. 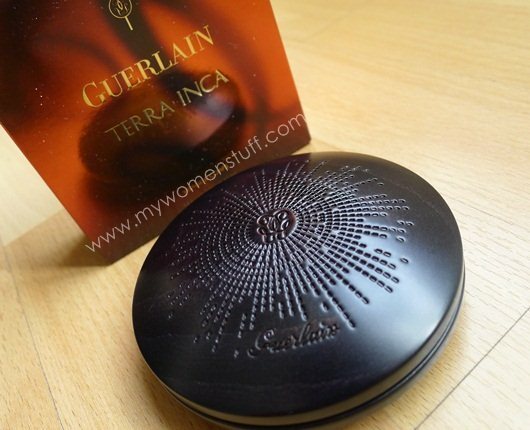 I’ve purchased recent bronzer releases by Chanel and Dior, and I’m waiting for our local Guerlain to have the Terra Inca and Terra Mosaic. 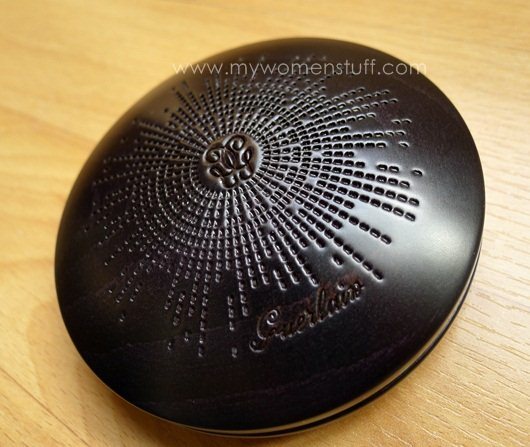 I also have the Guerlain 4 Seasons bronzer from last year. I’m also a typical Asian who prefers to be fair than tanned (because I look better being fair after a disastrous experiment of tanning my self), but using a bronzer gave dimension to my face, and I looked livelier, and blush looks much much better if I blend it w/ bronzer. Have you tried the bronzer by Shiseido? I’m told that their bronzers are made for Asian skin, not too muddy or orange or too pink. I currently am in love with urban decay’s baked bronzer. Don’t turn me orange either but gives me a natural luminous glow. Check out the shade “Glided”. It’s very pretty. 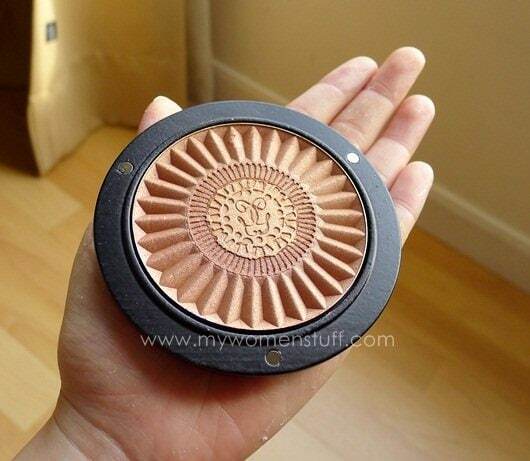 I prefer this to Guerlain’s Terracotta Light Sheer Bronzing Powder which i used to love to bits before i found glided. 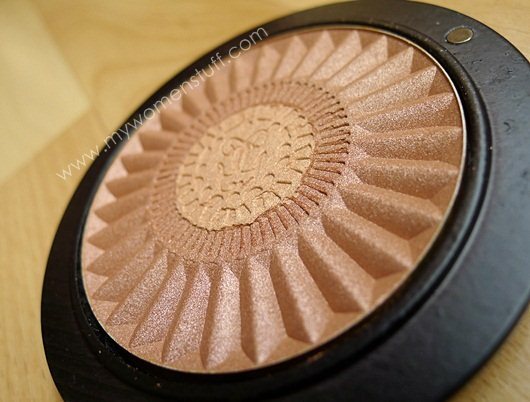 It can also slowly build up as a healthy looking bronzed blush. Much better than MAC MSF which i find mostly too frosty etc. One warning though, be careful when you open this bronzer. It can sometimes fly out of your hand due to the curvy bottom. Other than this flaw, this is one of the near to perfect bronzer for me. I use the MAC 134 to apply this. Awww…no pic of you wearing it? I cant believe how huge the pan is! I love bronzers! Sorry babe. I can’t get it to show 😛 Do you have a fave bronzer? I don’t use bronzers. Yet. Just using the coralista blush gives me dimension on my cheeks. But I’m still open to trying! I’m eager to see how this looks on you! Coralista is such an awesome blush! And you’re right, it does give a nice dimension. I’m working on getting this one to show… or an approximation anyway 😛 Its actually really subtle and natural in real life… which is really a good thing! I’ve got a MAC bronzing powder in Solar Riche. Sometimes use for contouring (not sure if doing it right! 🙂 Mostly use to bronze neck. My neck is lighter than face! How did that happen?? 0_o..
Oh indeed I do use bronzers – they are my absolute favourite makeup item and Guerlain happens to be my Archilles heel, which does absolutely horrific things to my wallet! Personally I found that the key to application on the jawline is a very light hand and constant CONSTANT blending; also going lighter on the sweep on the cheekbone (esp if you are going to layer on blush) or else you’ll end up with entire cheekfuls of bronzer, which was what happened to me in my trial-and-error period and on mornings when I’m too hasty. A teeny bit sad you don’t plan on more bronzers anytime soon cos that means no / less reviews!